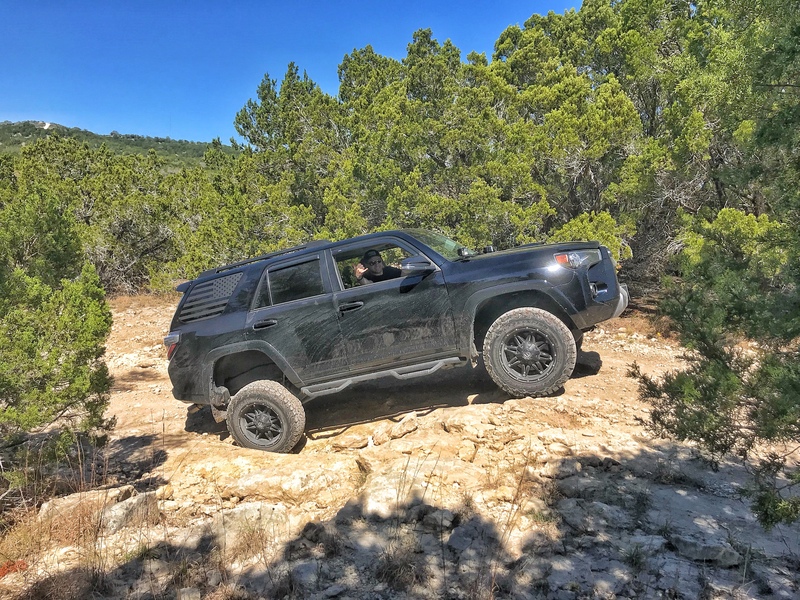 My wife and I went on a little weekend adventure to an off-road park about an hour away from Austin, called Hidden Falls. This place had it all, from a gun range, to camping and of course tons of area to off-road. We met a real nice Jeep crew who let us tag along and helped us down some hills and we convoyed around for most of the day. In any case, enjoy some pictures below.. Especially check out the video. The new GoPro Hero 7 Black in camera stabilization is just nuts! It’s so stable, no gimbal required. Climbing up! The climbs got even better after this! Coming down this was fun! We’re on two wheels! Ahhhh! ← Texas & Toyota: I’m Back!